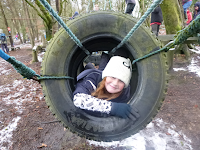 At Garsington Primary pupils have the opportunity to go on residential adventures in Years 4 and 6. 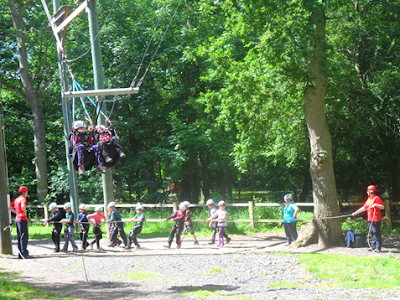 In Year 4 pupils are invited to attend a 2 day (1 night) residential at Youlbury Scout Activity Centre in Oxfordshire. In this academic year pupils from Year 4 will be going to Youlbury on 8th & 9th of May 2018. For more information please attend the Y4 Youlbury Trip Parents Meeting on Thursday 3rd May at 3.15pm in Year 4. Below is the Powerpoint from last year's meeting. This will be updated on Thursday 3 May with the new presentation. Set in 42 acres of woodland in rural Oxfordshire, Youlbury Scout Activity Centre offers a huge range of outdoor activities led by specialist instructors. 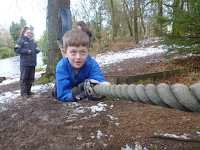 Staff at Youlbury believe that great school residentials give pupils the opportunity to learn tangible skills, work collaboratively, develop responsibility and break down barriers with teaching staff - they call this method ‘Adventure’. For over 100 years the Scout Association has been using adventure as a tool to develop young people. 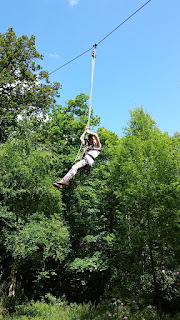 The cost of this trip is £93, which includes: accommodation (in the Bear's Den Lodge); dinner, breakfast and lunch; transport to and from the centre; insurance; and several fantastic activities such as: abseiling, crate stacking, 3G swing, archery and wide games. 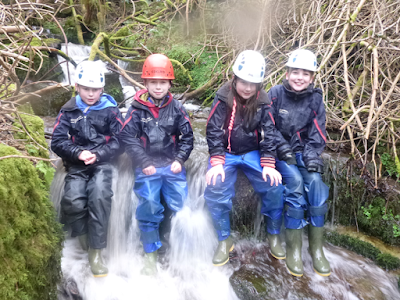 In Year 6 pupils attend a 5 day (4 night) residential at Yenworthy Lodge in North Devon. In this academic year pupils are at Yenworthy the week of 3rd-7th June 2019. Yenworthy Lodge, an outdoor activities centre supported by Oxfordshire County Council, is set in six acres of beech and oak woodland within the Exmoor National Park. It is within walking distance of beautiful open moorland, ancient woods, wild rivers and rocky shores. The children spend a week learning new skills, with the highly qualified team, such as building beach huts, canoeing, and orienteering. 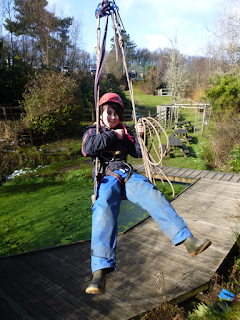 The aim of the residential is simple, to help pupils explore and improve their physical, intellectual and social skills (and have lots of fun doing lots of outdoor stuff). We know children develop most when they are 'learning by doing’, when they are given responsibility, work in teams, can take acceptable risks and think for themselves. We hope this will be a trip the children remember for many years to come. They also learn problem-solving skills, working in groups and looking after their own space. This is a trip that children remember and talk about for many years to come. The total cost for the whole week (including the deposit) will be £320, which includes board and lodging, transport to and from the Lodge (and during the week to various places) and insurance. Useful documents linked the 2017 Yenworthy Residential.